With smartphone upstart Xiaomi recently dethroned in China by competitors Oppo and Vivo, Lenovo Group now also is delivering bad news about its smartphone aspirations. Lenovo Group's global mobile phones sales dropped 31% in the second quarter compared with last year. It sold 11.2 million smartphones, which is slightly better than the industry's average. According to preliminary estimates for the company's financial announcements, Lenovo's global mobile phone market share has declined 1.5% to 3.2% year on year. Lenovo smartphone sales in the Asia Pacific and Eastern Europe respectively rose by 5% and 19% year on year. Based on these numbers, its sales in China and the Americas obviously dropped. The two regions are the major source of Lenovo Group's income, and the Americas contribute 30% while China contributes 28%. Lenovo said that the decline of sales in China was related to its transformation strategy, which is reducing the low-price products and turning to higher-price products gradually. 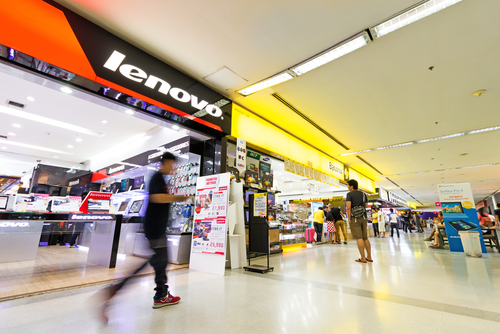 Lenovo's personal computer and intelligent device business income declined 7% to USD6.992 billion year on year. Personal computer sales declined 2% to 13.2 million year on year, which is better than the whole market that dropped by 4% year on year. Lenovo personal computers are still in the first place in the global market, and its market share has risen. Meanwhile, Lenovo is also in the first place in the Chinese personal computer market, and its market share is 37.8%. The global income of Lenovo's data center business merely increased by 1% to USD1.086 billion. The Chinese market rose sharply, which is 14% up year on year. The company said that the data center business still saw fierce competition outside the Chinese market, and the growth of income was slower than expected. Overall, the group's comprehensive income declined 6% to USD10.056 billion compared with a year earlier, and gross profit declined 7% to USD1.534 billion. According to the latest report released by the market research firm Strategy Analytics, Apple was surpassed by local Chinese manufacturers Vivo and Oppo by both market share and shipment in the second quarter of 2016. The report showed that during the second quarter of 2016, Apple shipped 7.3 million smartphones in China, a decrease of 25% compared with the 9.7 million shipment in the same period of last year. 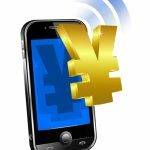 At the same time, its market share decreased from 9.2% to 6.7% and its ranking fell from the third to the fifth in the Chinese market. Huawei ranked first with shipments of 19.1 million smartphones, an increase of 15% compared with the 16.6 million shipment in the same period of last year; and its market share increased from 15.8% to 17.5%. Oppo ranked second with a market share increase from 6.9% to 13.9%; Vivo ranked third with a market share increase from 7.4% to 11.9%; and Xiaomi ranked fourth with a market share decrease from 18.6% to 11.7%.